Description: Over the past half-century, American artist and critic Robert Morris (b. 1931) has been a key figure in the history of minimal, post-minimal, and conceptual art. Description: Over the past half-century, American artist and critic Robert Morris (b. 1931) has been a key figure in the history of minimal, post-minimal, and conceptual art. Between 1960 and 1965, part of his artistic output included approximately 100 "object sculptures" or, as Morris called them at the time, "process type objects." These consist of plaques, containers, and assisted or simulated readymades of wood, Sculpmetal, and lead. 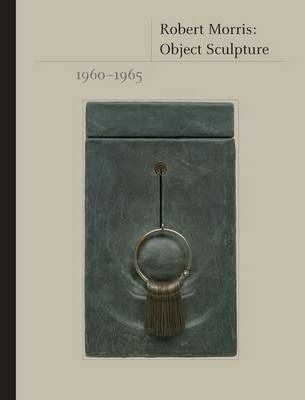 This book is the first study to address the object sculptures as a full and complex yet coherent body of work. Jeffrey Weiss, an authority on modernist and postwar sculpture, in close collaboration with Morris, systematically catalogues the object sculptures, and subjects them to critical and historical interpretation in the context of Morris's early practice overall. Featuring new photography of many of the works and an interview with the artist, this book offers an important and original perspective on a crucial early period in the career of one of America's most important artists.